As the summer winds down to a close, there’s always the desire to get in one more trip, to find a pet-friendly town that offers a variety of activities that will allow you to take advantage of the last bit of warm weather before the cooler days of fall arrive. At Petswelcome, that means heading to the coast, the New England coast, specifically the coastal towns in Connecticut, which are just a couple of hours drive from our office. And one of our favorites is pet friendly Mystic, CT. Mystic, whose name derives from the Pequot term “missi-tuk,” which means a large river that is driven by tides and wind, has a long history as a leading seaport, and was first colonized by Europeans in the 1630s. 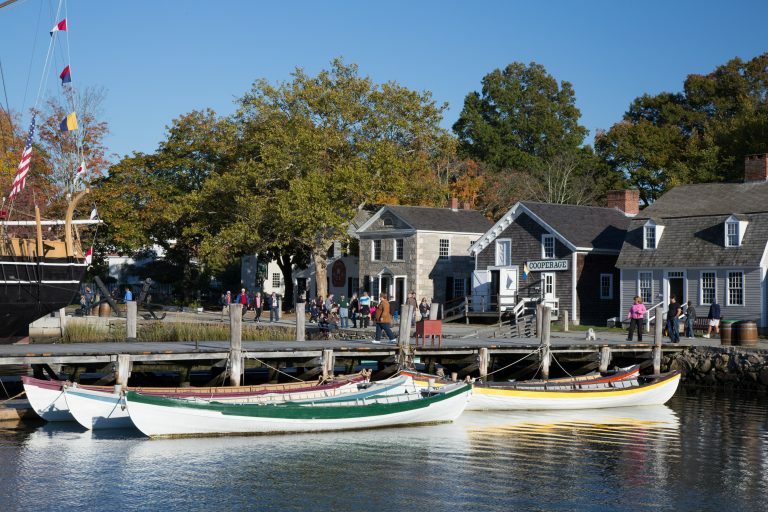 The story of Mystic’s maritime heritage is preserved and brought to life at the Mystic Seaport Museum, which is situated on the Mystic River and is the largest maritime museum in the United States. The museum is comprised of a shipyard, historic vessels, museums, shops and, best of all for pet owners, a recreated 19thcentury seafaring village made up of actual buildings that were transported to the Seaport from all around New England. We can think of no better way to spend a late summer day than by strolling through the village with your dog while taking in the historic sites and beautiful water vistas that the museum has to offer. Leashed pets are welcome, though they are not allowed in the restaurants, exhibit buildings or on vessels. There are many pet friendly hotels in Mystic to choose from, including the Harbour Inne & Cottage. Dogs and cats are welcome and there is no pet fee or weight limit. Other pet friendly hotels include the Quality Inn Mystic-Groton (which accepts dogs up 50 lbs. with a pet fee of $25 per night), the Econo Lodge Mystic-Groton (accepting dogs up to 50 lbs. with a $20 pet fee per night), and the Hampton Inn & Suites (dogs welcome with no weight limit or pet fee), among many others. 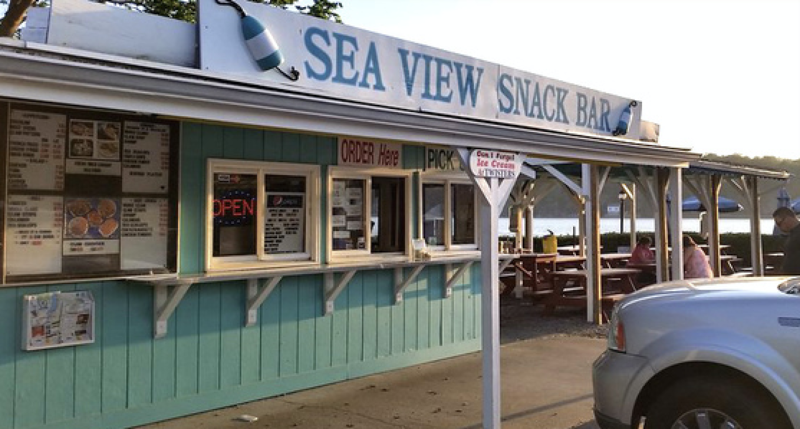 The Sea View Snack Bar. When it comes to pet friendly dining, Mystic has many options, including the Sea View Snack Bar, which offers delicious fresh seafood, soups and sandwiches with outdoor seating and views of Mystic Harbor. And, if you can’t get enough seafood, you can also head for Captain Scott’s Lobster Dock, which is located in New London, about a 20-minute drive from Mystic. For those looking for something other than fish, we recommend Pizzetta Pizza, where you can enjoy soups, salad, pizza and paninis on their dog-friendly patio. Of course, we’re talking about enjoying the last warm days of summer, so getting some fresh air and exercise should be a priority. To that end you can visit Pequot Woods Park, which is a 140-acre park with hiking trails, a pond and picnic grounds. 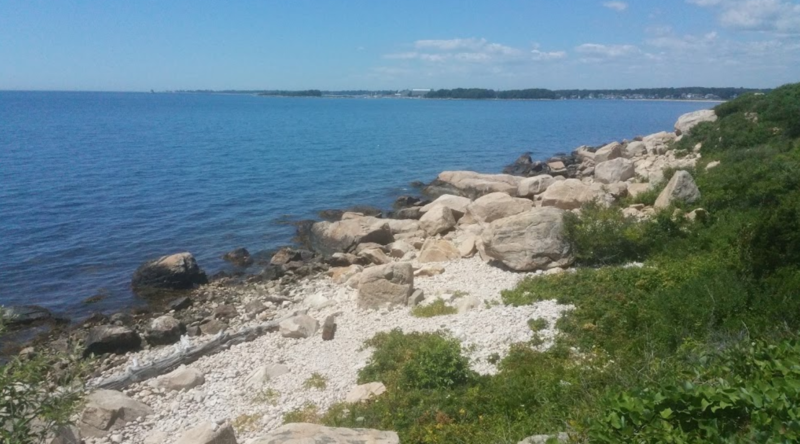 Bluff Point State Park in nearby Groton is a beautiful 800-acre coastal reserve that has been designated as the last remaining significant tract of undeveloped land along the Connecticut coastline. It offers incredible views of the Long Island Sound and is a great place to while away the last few days of summer with your best buddy in tow. The Copp Family Park is also pet friendly and is a former family farm with 240 acres of fields surrounded by wetlands and forest. It’s a great place to meet other pet owners as it has its own dog park with chairs, tables and shade trees where you can rest while your dog mixes it up with the locals. If you’re thinking of a last-minute summer jaunt with your pet, we think pet friendly Mystic, CT, is a fantastic choice that will reward you and your favorite animal with great places to stay, visit and enjoy.